I was on a sort-of vacation last week (well, as close to vacation as I get), so I didn't hear about the newly unveiled Kindle Unlimited payment structure changes until my (not actually publishing related) friend mentioned it to me at dinner. Since any change to KU is the definition of Relevant To My Interests, I proceeded to be very rude and looked it up right there at the table, and you know what? I really liked what I read, and here's why. So today, completely of his own volition (and because he is a giant data geek), my husband, business partner, and far more sensible half, Travis Bach, is here to share some publishing numbers! Today, we're looking at reader retention rates across series, how many people who buy the first book in a series can be expected to buy the others. Now, of course, this number will vary wildly between writers and even between series by the same author, but (as Travis is about to explain) looking at your book sales from a top down, data driven perspective can enable you to make some pretty sharp best guesses, or at least ballpark. If nothing else, it's an interesting topic to think about and I thought you guys would enjoy getting a peek behind the curtain for how we make our business decisions here at the Aaron/Bach book factory. Yay! Another Writing Wednesday! I'm so glad you guys have been enjoying these. :) Also, I wanted to take a moment and say thank you so so SO much to everyone who's pre-ordered One Good Dragon Deserves Another! The reception has been overwhelming. I can't wait for you guys to read the actual book come August!! 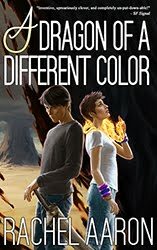 And if you have no idea what I'm talking about, the first book in the series, Nice Dragons Finish Last, is still only $0.99 on Amazon, so go check it out! Oh exposition, you quarrelsome beast. Exposition is one of those fancy literary vocab words most people first encounter in High School English. Anything that feeds the reader information in a story--the description of a town square where a riot is happening, the explanation of the political situation that caused the riot, a recounting of the tragic personal history of the woman leading the riot--counts as narrative exposition, and it's famous for being one of those things that writers, especially genre writers, mess up. It makes sense. The burden of exposition (which every writer struggles with at some point) is exponentially higher for those who write about people, places, and things that don't exist in real life. A thriller writer can simply say "the stern FBI agent" and expect his reader to know what he's talking about without spending paragraphs explaining what this "FBI" thing is. A Fantasy author, on the other hand, often has a entire new world to introduce before our readers can even appreciate what's going on with the plot. That's an exponentially heavier exposition burden to bear with a much higher bar for success. Sloppy, info-dumpy exposition, which might slide under the radar in contemporary fiction if the writer is strong in other areas, becomes a deal-breaker any kind of genre fiction where the writer is introducing their reader to complex new worlds, societies, or rules for reality. There is simply too much to explain to do it badly, which is why skillful, interesting exposition is one of those skills every writer, but particularly every genre writer, must master if they want readers to stick with them long enough to see the rest of the book. So how do we do it? How do you explain your epic magic system/political conflict/hyperspace travel to your reader without dumping a giant, book-closing wall o' text on their eyeballs? Well, fortunately for us, there's a trick to writing good description/exposition that's not actually hard to master. It just requires that you one 1) be aware of how much you're asking your reader to absorb at any one time, and 2) remember to stay entertaining. Ask a non-Fantasy reader why they don't read Fantasy, and one of the most common complaints you'll hear is that there's too much exposition. Who wants to sit around and listen to some elf sing a song about the history for five pages? Dullsville. Now, I happen to enjoy a good elf song, but I can totally see why people would complain. For years, Fantasy authors, Tolkien included, have relied on info-dumps to explain the detailed history of their worlds, often through songs or inscriptions or whatever other in-text excuse the author can come up with for a history lesson. This sort of thing happened so often, it became one of the conventions of the epic Fantasy genre, and when done well, it can definitely lend a real feeling of elegance and other-worldliness to the text. When done badly, however, this sort of exposition is the most excruciating, boring, nonsensical crap you'll ever wade through. It's stuff like this gives Fantasy a bad name in so many circles. Don't believe me? Take a second and imagine reading the most stereotypically bad Fantasy novel you can think of. Chances are, your imaginary book starts with a densely written prologue describing the birth/fall of the world in lofty, quasi-poetic language. That's how bad this thing has gotten. The convention itself has become a marker of terrible quality. Even if you do write a masterful, entertaining, beautifully crafted exposition prologue/elf song/found history/whatever, chance are most modern readers will just skip it because so many other authors have abused this exposition mechanic so abysmally. So, if even masterful infodumps are off the table, how do you describe your pantheon/world breaking/epic history/other weighty topic of world building? How do you teach your reader what they need to know about the history of your world without sitting them down for a history lesson? The exact answer to this problem will depend on your own particular book, writing voice, and intended audience, but a trick I like to use in my Fantasy (and Science Fiction) novels is something I call Info Filling. As you can see, this is a much more natural and interesting way to inform your reader that there's a bad dude out there accusing ladies of being witches and scarring their faces than just sitting them down and telling them about it. By filling your information into the scene rather than just dumping it, you've turned your exposition into its own little story within your larger narrative and you've also layered in some character development, which is always good. Tricks like these let you squeeze an enormous amount of exposition into your prose without making the reader work for it. Whenever I do a scene--any scene--I'm always trying to squeeze information about the larger world into the cracks wherever it will fit, even if I'm not using that information immediately. It's just there, a natural part of the world, and if you do it well, your reader will absorb all the information they need without even realizing it. You see this tactic all the time in really good video games. Portal, for example, has zero info dumping. Nothing. Everything about the world and how it came to be that way is told in small details which are arranged to be found naturally as the player progresses through the puzzles or as part of the ambient atmosphere. But even with this complete lack of hand holding, by the end of the game, the player still knows enough about the world and its stakes to care about the final boss battle. That is amazing, and probably my favorite modern example of how good exposition should work. Also, the game is stupidly fun and clever, but you knew that, right? I've also found that approaching exposition as a seasoning rather than a main dish really helps to "load balance" the information my books. Since I've completely abandoned the idea of trying to cram entire concepts down my reader's throats early in the text, I'm free to dole information out on a purely need to know basis as the plot progresses. Not only does doing things this way make the reading/writing experience a lot easier for all involved, it also ensure that, when I do need to stop and explain something complicated, my reader is ready to learn it. It's all about creating investment first. You use your characters and your plot to show your reader why your history/worldbuilding/etc. is important, and only then, when they're desperate to know, do you hit them with the details. This is how you turn what would otherwise be boring, info dumpy exposition into a treat your readers will gobble up. Parcel it out slowly, feed them just enough details so they understand what's going on (but are never overloaded) while you draw them in. Then, when they're hooked and turning pages, that's when you hit them with the big, complicated explanation. I hope this gives you all a new avenue of attack on your exposition woes! Thanks for reading, and I'll be back next Wednesday with another writing post. Yay! Time for another Writing Wednesday! First, though, (in case you missed my spam on Monday), I have a new book coming out! One Good Dragon Deserves Another, the long awaited sequel to Nice Dragons Finish Last (which is currently on sale for $0.99!) will release August 1, 2015! You can read a sneak-peek sample here, or pre-order your very own copy on Amazon. Also, if you clicked any of those links, you might have noticed that I revamped my website. So check that out, too. It's pretty! Okay, okay, Rachel, enough with the promo. Let's get to the good stuff! Perfectionism is a common curse for writers. It makes sense, too. With so much time and work going into a single product, striving to make it "perfect" is the the logical conclusion. Add in the inevitable writer ego, and it's all too easy for us to get hung up on the little mistakes rather than seeing all the stuff we got right. But while perfectionism is often spun as one of those "good flaws" since it implies a high level of quality control in the final product, the truth is that giving in to perfectionism is one of the absolute worst things that can happen to your writing. I was on the #NAlitchat podcast last year, and one of the hosts brought up what I felt was a really brilliant observation about this exact topic. She put forth that most writer perfectionist tendencies aren't due to actual perfectionism, but, rather, to fear. Perfectionism, she said, can be just another name for procrastination, because it's easier to find problems than it is to take the plunge and put your work out there to be judged. Now, of course, I'm not saying every incident of perfectionism is due to fear. If you care about books enough to write them, you probably have high standards, and there's nothing wrong with going over your work multiple times in an effort to make it as good as possible. That's just having pride in your work. The problem comes in when the need to make things absolutely perfect starts getting in the way of actually finishing the book. The most insidious form of problem perfectionism is when you start doing this during the first draft stage of writing, when you shouldn't be worried about editing at all. This problem is so common, writers even have a pet name for it: the dreaded Inner Editor. The Inner Editor is that obnoxious voice in your head that butts into your writing and tells you you're doing it wrong. That's a stupid word choice. No one will ever want to read this. Real authors don't use adverbs, and so forth. This litany of insecurities is totally normal, but just because it happens to nearly everyone who tries to write doesn't lessen its negative impact. The Inner Editor monologue can be crippling, especially if you're new to writing and haven't yet gotten enough words under your belt to build up the necessary weight of experience and confidence to shut that stupid voice down. But sometimes even experience isn't enough to save you. I've written fourteen novels, and I still get hit with bouts of the Inner Editor. So how do we deal with this problem? How do we get over perfectionism and shut the Inner Editor up so we can actually write the damn book? Sadly, I don't have a single bulletproof answer to this. One of the amazing but sometimes frustrating things about writing is that everyone does it differently. How you get around the mental roadblock that is your Inner Editor will depend entirely on your work style, your personality, and what motivates you as a writer. That said, I've had a lot of fights with my Inner Editor over the years, and I've developed some key self-defense strategies that worked really well for me, which I'm now listing here in the hope that they'll help you as well. Like I said above, the Inner Editor's criticism tends to revolve around insecurities about other people's judgement of your work, so one of the very first things I did to get away from it was make myself a safe space. It can be a mental space or a physical one, or both! You just need somewhere--a room, a folder, a notebook--where you can convince yourself that your writing in this place will never be read by anyone else unless you allow it. The idea behind this strategy is to create a safe zone where your Inner Editor's complaints are rendered invalid and, therefore, not your problem. What does it matter if that's a stupid way to write that sentence? No one ever has to see it but me. And if I do write something awesome, I can just copy-paste it into my manuscript, and no one ever has to know that it was the lone survivor of 34 pages of crap. Personally, I create a safe space for myself by always thinking of my first draft as the practice draft. I subscribe to the theory that the first draft is what you write to learn how to write the book. I'm not writing the book people will read, I'm writing the sludge that I have to work through in order to learn how to write the book. I'm building my mock-up, drawing my sketches, doing my warm-up routine, whatever metaphor you prefer. The important thing here, though, is that I know that the words I'm writing are in no way the finished product. They're vital practice, the rehearsal before the play, the safe place where I am allowed to write crap and make mistakes and experiment. It's only after the first draft, when I've failed forward enough times and ended up with a more-or-less manuscript I'm excited to work with, that I switch mental gears and thinking about my document as a book that others will read. One of my favorite mantras is that writing is not a performance art. You don't ever have to show anyone your work until you're happy with it. And while this sort of thinking can definitely lead to a downward perfectionism spiral where you never show anyone your work, it can also be a source of strength and confidence. By taking away your Inner Editor's platform, you're putting yourself back in control. You're the one with the power who has the final say in everything. You're the writer, which is the same as being a god within your created worlds. All you have to do is find a place where you're comfortable embracing that power, and your Inner Editor doesn't have a chance. One of my favorite bits of author coping advice I've picked up over the years is the habit of going to the Amazon or Goodreads page for my favorite novel, the one I believe is absolutely perfect, and reading the one star reviews. The point of this isn't to drag down my favorite work--so far as I'm concerned, those one star reviewers are Wrong McWrongpants from the city of Wrongville where everyone's wrong--but to remind myself that every book, even the ones I think are brilliant, even the lauded classics, have things people can criticize. This doesn't they're bad books. I obviously think they're amazing books. But no book, not even the top 1% of the best, is perfect to all readers, and, therefore, mine doesn't have to be, either. Understanding that it is provably impossible for a book to be "perfect" was a huge step for me in battling my Inner Editor. I'm a detail oriented person, and I tend to get really down on myself about what are arguably very minor, subtle things. Going bad review surfing, while sometimes infuriating (how could anyone say that about THE LAST UNICORN? Don't you people understand that book is a masterpiece!!!???) is, for me, a vital exercise in perspective. It's almost too easy to get so wrapped up in our own work, we forget that our readers are not us. Some of them will fixate on flaws we never noticed as a reason to give a terrible review, some won't care at all, and there's nothing we can do to predict or change that. All we can do as writers is our best, and even that is inherently flawed. Once I accepted that and realized that my Inner Editor's criticisms were both correct and completely irrelevant at the same time, it was a lot easier to tune her out and focus on what was actually important: writing a book I was proud of. If you've listened to/read any of my advice/ruminations on writing, you probably already know that I'm a huge believer in the idea that writing should be fun. I mean, we're basically playing a very high level game of make-believe, creating worlds where we are gods and best friends and devils all at the same time. That's heady stuff, so much so that one of the three breakthroughs of how I went from writing 2k a day to 10k was to get excited about my work, but what I didn't talk about there was the fact that embracing this fundamental creativity of writing has become my single best defense against my Inner Editor. When you're suitably excited about something, nothing can bring you down. Take your favorite series/band/sports team/whatever. Are you going to stop being a fan just because someone else said the thing you love was stupid? No way! F the haters! Now, take that same level of "I love this and nothing you say can change my mind" and apply it to your writing, and you'll find that Inner Editor's commentary matters just as little as the people who try to tell you that our favorite whatever is stupid. This doesn't mean they can't have true criticism (nothing is perfect, see battle plan #2 above), but, and this is the secret, you don't have to care. If you really focus on getting excited about your own world and writing and characters, that excitement, that love and passion for your story will not only shine through your words and get your readers excited as well, it can also be an iron wall against Inner Editor nagging. I call this being your own biggest fan, and while it can definitely be taken too far (you don't want to fall so in love with your voice that you become blind to actual weaknesses you need to address), I believe it's a vital part of the artist side of being a writer. After all, if I don't love my books, why am I writing them? If I don't care, why should anyone else? So don't be afraid to really dive into your world and embrace whatever you think is most awesome. Let yourself be a fan for your own world, and you'll reduce that Inner Editor to just another hater. This is the final stage of beating your Inner Editor. For me, this part happens in the later drafting stages, when I've already used the strategies above in the battle against my Inner Editor. Unfortunately, for me at least, my Inner Editor rarely stays beaten. So long as I have insecurities about my work, she'll always rise again, and so the final stage of any writing project for me is learning to let go. For me, at least, this part never gets easier no matter how many books I write. Even now, five years later, there are a million things I still itch to fix when I think about the Eli books, but I can't. Those books are done, beyond my control, and that's okay. Are they perfect? Of course not, but there are still thousands of readers who love them despite all the stuff I know I messed up. Think of your own pleasure reading. Do you expect every book you encounter to be perfect? No, you just want a good story that will move and entertain you, a book worth reading. That's as it should be, because the only person who will ever care about true perfection in your books is you. This is a lesson I have to relearn on every book. There are always so many things I could fix, and asking strangers to read your work never stops being terrifying. At the end of the day, though, every writer, even me, has to let go, because if you don't, that book will never be published. This is the ultimate goal of beating perfectionism, the reason (other than your own mental health) that beating your Inner Editor is so important. We only have so much time to write in our lives. If you let yourself get hung up on perfecting a book that's already 99% done, you'll lose all those books you could have been writing. You can polish and polish and polish until you can't stand the sight of your own words anymore, but at the end of the day, you still have to let that book go free in the hands of readers. If you don't, if you let fear or obsessing over small details hold you back, no one will ever read it, and that would be a great tragedy, indeed. I hope these strategies help you with your own battles against your Inner Editor. If you struggle with perfectionism, please know that you're not alone. Thousands of writers at all levels of success struggle with these exact same issues, but the ones who make it are the ones who find a way to look past all the minor tweaks that can seem so stupidly important and focus on what really matters: telling your story and getting it out into the world! There will always be more books to write, and I look forward to reading yours. 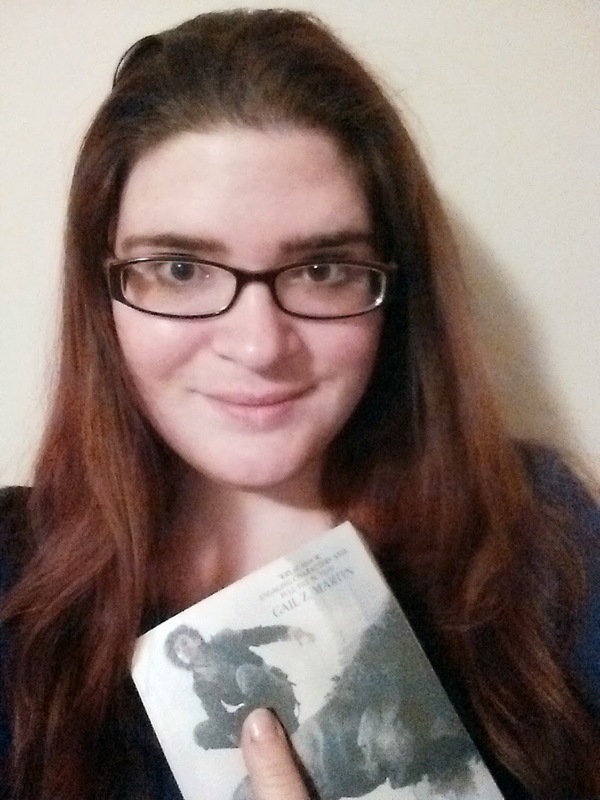 Thank you again for being my reader, and I hope you enjoyed this edition of Writing Wednesdays! 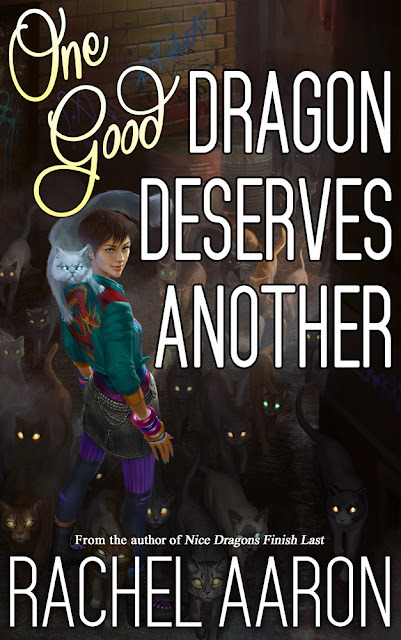 One Good Dragon Deserves Another comes out August 1st! Cover! Blurb! Pre-order info! Sample chapters! OMG! After barely escaping the machinations of his terrifying mother, two all-knowing seers, and countless bloodthirsty siblings, the last thing Julius wants to see is another dragon. Unfortunately for him, the only thing more dangerous than being a useless Heartstriker is being a useful one, and now that he’s got an in with the Three Sisters, Julius has become a key pawn in Bethesda the Heartstriker’s gamble to put her clan on top. Sample chapters are already up on my lovely, newly revamped website (new book, new look! ), or you can pre-order your own copy now on Amazon.com! I hope all these announcements make your Monday, and I really hope you enjoy your first look at One Good Dragon. Please let me know what you think in the comments, and as always, thank you so much for being my readers! You guys make my world go 'round :D! PS: Right now, the Heartstrikers series is available on Amazon only due to the first book being in Kindle Unlimited. HOWEVER! This will not be the case forever, and I will absolutely let you know when the books become available on other readers/vendors. Thank you for your patience!